How does this help? One way is with respect to the Platonic principle known as the unity of virtues. Because all virtues, and indeed all good things, are instances of the Good, a corollary is that pure virtue of any kind, i.e., pure Truth, pure Beauty, pure Justice, etc., must be compatible with every other pure virtue. One cannot, for example, act in a way that affirms Truth yet contradicts Justice or Beauty. This principle supplies a means by which we may test whether a given act is true Charity: the act must awaken in us an awareness of Goodness generally; contemplating or performing the proposed act should leave our mind ‘basking’ in the glow of the train of all divine virtues. The Platonic perspective also reveals four further attributes of Charity. First, it is it’s own reward. Plato had a name for that kind of experience where we suddenly we regain our ability to see truth: who we are, what really matters, what brings us happiness. He called it anamnesis, literally unforgetting (an = un, amnesis = forgetting). True Charity should have the quality of anamnesis: it realigns our mind such that we are again in touch with our true nature; we become properly oriented to ourselves, other people, Nature, and God. Clearly this is much different from, say, sending money in a perfunctory way to a “charity” like Greenpeace. Sometimes such actions are performed out of a sense of mechanical duty. Other times they may be motivated by sentimentality – as when one feels sorrow at the plight of abused animals. There is nothing wrong with such actions. They are commendable, in fact, and may well constitute virtues in their own right; our only point here is Charity is something distinct and greater than these things, and to lose sight of the distinction is to risk losing sight of the full meaning and significance of Charity. Second, the proposed definition shows how Charity is ultimately connected with our own salvation (understood in a broad, nondenominational, psychological sense). The truth is that, however much we may believe or protest otherwise, our ultimate instinctive concern is not with others, but for ourselves. Said another way, our first order of business is to help ourselves. History is full of examples of people who neglected their own moral development for the sake of busying themselves with other people’s problems. To such as these one might well say, “Physician, heal thyself,” or “For what is a man profited, if he shall gain the whole world, and lose his own soul?” (Matthew16:26) We must be constantly aware, in whatever we think or do, or our own need of salvation in this broad sense. This is the meaning of humility. The moment we lose sight of our immense proclivity for error, much of which goes under the name of ‘egoism’, then our ego takes over and all manner of mischief is liable to occur. Unless God or the Good is in the picture, any action, even giving a million dollars to help others, will have a strong egoistic component. Third, our Platonic perspective helps shows how Charity is contagious. If you act towards another with true Charity, the recipient knows, in their own soul, that your act is accompanied by your anamnesis. And since anamnesis always engenders feelings like trust, love, and hope, the person knows that you have gained a reward greater than any human being could give you. This, in turn, produces a sympathetic anamnesis in the recipient. It reawakens in them a remembrance of what the important, the finer things in life are. And this is cause for them to affirm life and thank God – not so much for whatever charitable benefit they received, but because God made such a world where Charity itself exists. It may literally restore the other’s faith in humanity. 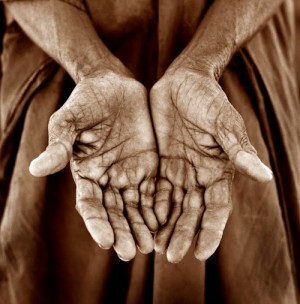 Moreover, the recipient is presented with the fact that they too have the ability to show Charity to others. A quality of a truly Charitable act, then, is that it leaves the recipient in a frame of mind eager to show Charity to others. When you act with Charity to others, then, often more important than the physical gift to the other is the psychological gift. Finally, the Platonic perspective helps us to see that Charity is different from other forms of helping, giving, sharing, etc., in terms of epistemology. True Charity, because it is consciously aligned with God and the Good, opens the mind to an influx of higher thoughts – the mode of knowledge Plato called noesis. This is distinct from our usual form of rationalistic thinking, called dianoia, or reasoning. Thus, a characteristic of true Charity is that it is frequently motivated by inspiration, often more an act of spontaneous creativity than cold calculation. Again, this is not to say that we should avoid applying our logical minds to helping others – only that Charity is something distinct from rationality alone. Posted in Christian, Cultural psychology, Culture, Culture of peace, Idealism, Philosophy, Psychology, What is satyagraha?